Discover benefits of cucumber for the body, skin and hair! Find tips and easy homemade remedies! Cucumbers are widely known as vegetables, but they’re technically a fruit. They have a tough, scaly, green skin. They’re crunchy and slightly sweet when eaten. Drinking fresh cucumber juice is another good means of consumption. Cucumbers aren’t just for consumption. They’re used in topical treatments improving various skin conditions: dull, oily, wrinkled, dark, discolored, puffy, saggy, sunburned, itchy and more. Their nutrients also strengthen and help hair grow. On this page find homemade cucumber recipes for the body, skin and hair! Discover tips for growing cucumbers at home! 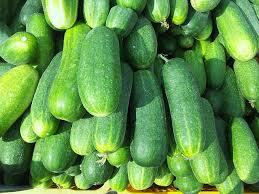 Cucumbers belong to the Cucurbitaceae plant family same as the watermelon, squash and pumpkin. They’re a superfood, loaded with antioxidants. They’re low in calories and high in water content. 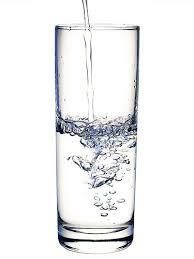 About 95% of cucumbers are water, keeping the body hydrated and rid of toxins. They’re a good source of vitamins A, B, C and K. They have a high content of potassium, magnesium and fiber. They contain three lignans with anti-cancer properties. Their sterols reduce cholesterol levels. Their silica strengthens connective tissue. They offer many health benefits! Most commercial cucumbers have previously been sprayed with pesticides. Wash before use. Ideally, it’s best to use organic cucumbers or grow your own. Watch a video, at the bottom of this page, with tips for growing cucumbers at home! At the store, choose cucumbers that are dark green in color, firm, with no soft spots. Smaller cucumbers have fewer and tinier seeds. Cucumber skin is waxed or unwaxed. Peel the skin of waxed ones and lightly scrub unwaxed ones, before consumption. Store cucumbers in the fridge up to five days. They thrive in temperatures a bit over 40 degrees Fahrenheit. Discard old, soft or squishy, cucumbers. -- Add organic cucumber slices to a pitcher or glass of cold water, for a refreshing taste. Rub cucumber slices on face. Mix 3 parts cucumber juice with 1 part lemon juice. Apply mixture to face and neck. Leave mixture on for 10 to 15 minutes. Rinse face and neck with cool water. Apply cucumber juice, carefully, to puffy or dark circles under eyes. Directions: Place all ingredients into food processor. Blend until smooth. Remove mixture from processor and apply it to face. (Avoid eyes, nose, ears or any sensitive areas.) Leave on face approx. 30 minutes. Next, make sure to thoroughly rinse face with cool water. Gently pat dry. Place a slice of cucumber over mosquito or itchy bug bite. Place cucumber slices or puree on sunburn for cooling instant relief. TIP # 1: Cucumbers contain some of the most needed nutrients for hair growth: silicon, sulphur sodium, phosphorus and calcium. TIP # 2: Drink fresh cucumber juice as a quick way to infuse nutrients directly into your system, without having to break down. TIP # 3: Cucumber juice can be used as a hair rinse. Add shine and silkiness to hair. Condition hair and improve manageability. Find lots of juicing recipes! Improve your overall health! TIPS for GROWING CUCUMBERS at HOME!